» Forum » Market » Buying and selling advice » "Tommy" or "Fish Tales"
» "Tommy" or "Fish Tales"
FT, more pf action for longer play. I vote Tommy I feel like there is more to do in the game and it has better and more toys like the blinder, mirror, and the plane. FT has a much better flow to it. I like the theme and the layout. It's a good family pin as well. And, it's got that WIlliams build quality. Tommy has some cool toys, as mentioned above. It has the standard DE modes. As I do love The Who, I don't really like that the actual songs sung by them are not in the pin, although I think there is a way to incorporate them. A bit clunky. FT for the small win. FT because it's Neo's favorite. FT seemed to hold my attention a lot longer than Tommy did. 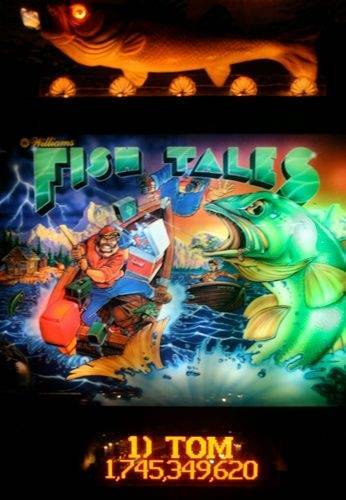 Fish Tales is a much better game. Just better layout, more challenging long term, faster game play. Smoother playing. 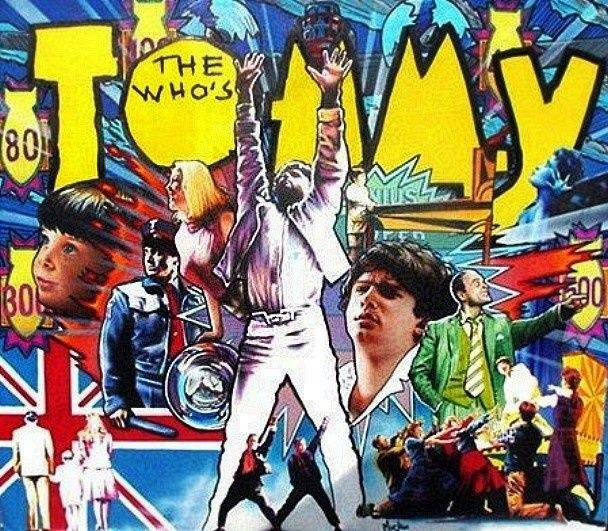 I wish Tommy were better as I am a Who fan and love the theme and art on it. FT is a much better player. Tommy is way better. Fish Tales is fun and a good game, but The Who music, the modes, the layout are just better. I've have them both and Tommy is here to stay. Tommy is pretty good but B/W games like FT just have that magic. Everything comes together with the theme, music, art, and gameplay. You even have that awesome fish topper that flaps its tail. FT is kinda simplistic with the rules and can be brutal but keeps you coming back. Fun to play Tommy on location or at shows but I would love to own FT. Agreed but I installed a pinsound board, added this backglass and now I have a great "WHO" pin. I like FT but the music is tough. I love FT as well. My buddy had a really nice fish tales for about a year. Not only did I hate it, so did he. 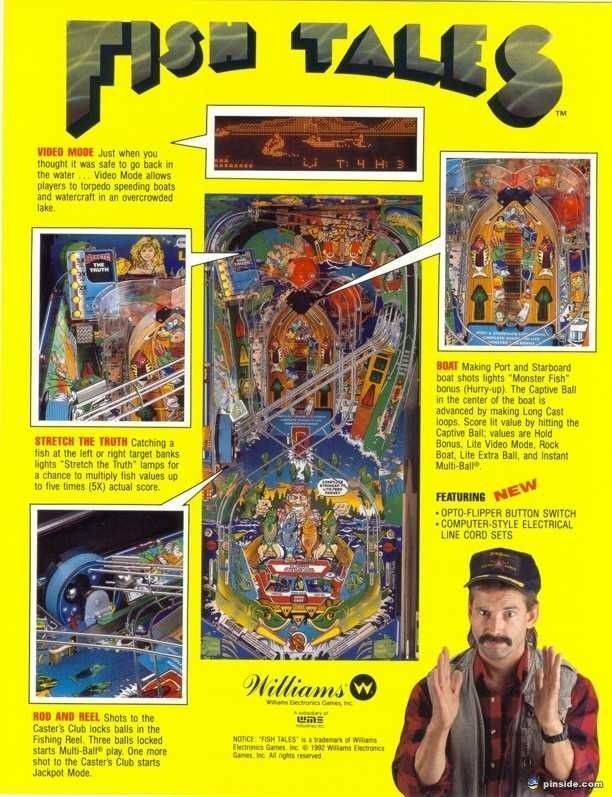 That double ramp right in the center of the playfield pretty much ruins the view on the entire machine. He had a lot of trouble getting rid of it too. I'd file fish tales as one of the most over rated games. I will PM you so not to "go off the rails" with the OP's thread. 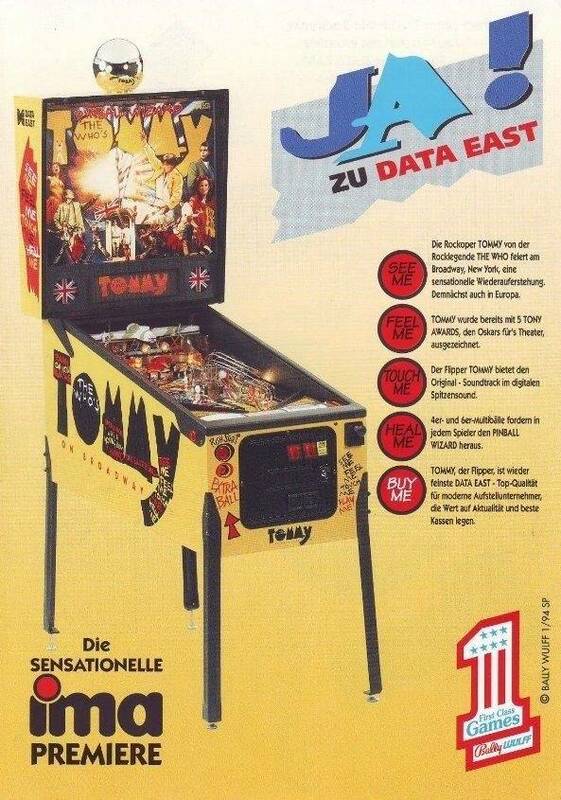 Had both, would buy a tommy again with pinsound board ($350). Have no interest in owning another fishtales. This link might help. It can also help you with other questions you have in the future. It's stable like all W/B games.Nice colors,good music for the theam and sounds. TOMMY-felt it like all other DE games-don't know but when I play DE games is somehow plastic in my hands.The voices are not so fine.The toys looks like from LEGO. 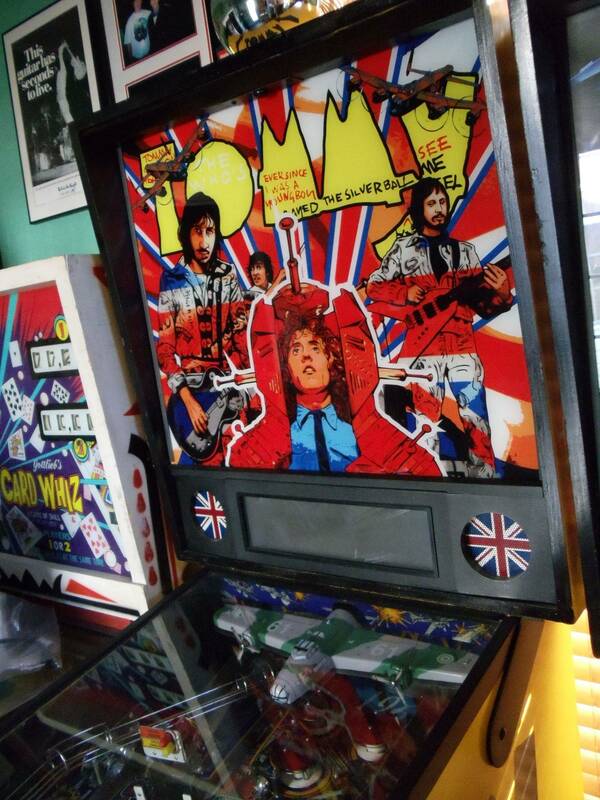 Tommy: great lay-out, very good multiball, good modes. Tommy? Pfft not even in same league as FT! Looks like "Tommy" has gotten smoked..Didn't see that coming...Thanks for all in input! I love FT, but I think Tommy just has more variety and is more interesting. I like Data East pins in general. FT all the way! Simple game but it can be brutal. As a general rule I’m not a big fan of Data East games. Just something about those games that don’t allow me to get into them. I own both for at least 20 years. If I had to give one up... it would be Tommy, by a hair. Tommy is a much harder and deeper game. I owned both, and would probably own both again, but Tommy is just a much better game overall to me. Fish Tales is pretty much a one more time kind of game that is pretty fun for a while but if you had a small collection would get old pretty quick I think. Tommy is a challenging game for a long time, rare to make the wizard mode, and has a lot of the special magic that B/W games have (like being 2 million short of the replay and the game will give you a 2 million Lyman bonus to make it, lol). I'm a card carrying B/W snob,so FT.
Ooooh .....difficult choice as I adore both games. I'm going Tommy purely on sentimental/personal reasons. Though I totally get why some people would prefer FT. I love FT. Absolutely killer fun game. Classic. Saying that I have had 2 and sold 2. So I do get tired of it in a smallish lineup. The good news is there are plenty more Fish (Tales) in the sea so not hard to find another. Availability could be the factor for you in this .... decent Tommy far harder to come by. So maybe go Tommy, lot easier to pick up a FT down the road. +1 for Tommy. Feel me!! Damn I *love* that backglass I wish someone could make these available as a translite. Someone somehow make it happen ! TOMMY!!!!!!!! Can you hear me?? Fish Tales is just plain fun. It's one of those games where it's greater than the sum of its parts. Chad I have been playing the heck out of Tommy again recently. You did a great job on that code man .... a great job. Smash The Mirror mode is now epic !